In the city of Troy, business is booming. With businesses of all sizes opening every day in this city just outside of Detroit, there’s an increasing demand for quality janitorial services. To help make your business really stand out, you can rely on the quality cleaning services of Augie’s Janitorial Services. For more than 20 years, we’ve helped business owners keep their businesses clean and inviting for their customers and employees alike. From window washing to restroom sanitizing and anything else you can think of, we’re excited to offer our premier cleaning services to you and your business! The fact of the matter is, how your business looks is almost as important as the products you sell and the employees you hire. Hiring a professional janitorial service can ensure that your business always looks great. Using the latest innovations in cleaning technologies, materials, and techniques, Augie’s janitors are trained to make your workspaces truly shine. Running your own business can be an expensive endeavor, but you should actually look at it as a sound business investment. Studies have shown that customers spend more time in businesses that are well kept and clean. This naturally translates to customers spending more money at your establishment and ensuring that they become repeat customers in the future. Of course, it’s not just your customers that will enjoy your clean workplace. Your employees will thank you for your investment with improved productivity. When you aren’t paying your employees to spend their valuable time cleaning toilets and washing windows, instead you’re paying them to do more of the work that matters most to the company. We’re sure that your employees will appreciate the chance to spend more time on their work, and will express that appreciation by selling more product, closing more deals, and doing more for the company. Unless you work with a company of “neat freaks,” your workspaces are likely a little grungy sometimes, especially at busy points during the work month. Good thing we’ve made a career out of being neat freaks because we’re excited to keep your business looking fresh and clean. While we’re known for our interior cleaning services like carpet cleaning and day porter projects, we’re also proud to offer groundskeeping services that can keep your walkways and exterior lobby spaces free of stains, graffiti, and gum. Your customers will love the look of your building, and your employees will appreciate the view as they walk into work. Unless you’ve made a guest appearance on one of those hoarder TV shows, you likely do your best work in a clean and organized work environment. Clutter, grime, and dirt make any workspace more stressful to be in. Rather than addressing the tasks that are necessary to keep your business running smoothly, you’ll spend your time trying to keep the break room free from coffee stains and whatever was dropped on the floor during lunch. By working with the janitorial services experts at Augie’s, not only are you limiting the amount of mess in your work life, you are reducing the amount of stress in your work life. Naturally, a mess-free workplace is one where you and your employees will be more productive and effective. Did you know that how clean your office is can make an impact on the quality of work your employees are doing? Incredibly, more than 80 percent of workers note that they would work harder if only their office was cleaner. A small investment in commercial cleaning services then might have a big return in the form of increased employee productivity. Rather than hiring some guy with a vacuum and settle for B-grade work, hire Troy’s A-Team. Augie’s Janitorial Services is the finest group of cleaners and janitors in Troy and the Detroit area. Don’t believe us? We’ve got more than 20 years of janitorial experience to back that claim up. 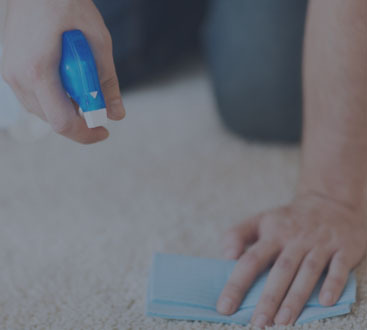 We’re always looking to improve the quality of our services, so we use only the latest and greatest cleaning products, materials, and technologies. We don’t compromise on our standard of cleanliness, and you shouldn’t have to either. Still not convinced? Check out testimonials page where you’ll find reviews from customers who are thrilled with their freshly cleaned offices. Our customers love that we offer janitorial services that help to keep every part of their business looking fresh and clean as the day they moved into the workspace. Augie’s Janitorial Service is committed to providing businesses in Troy the best cleaning services available. 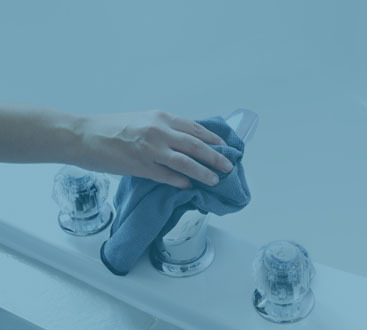 More than just a simple cleaning crew, our cleaning consultants will tailor a cleaning regimen to your particular business, ensuring that our level of cleaning meets the needs of your business. Call us today to speak with our consultants and to get an estimate for the services you need. Help your business stand out from the competition, and call Augie’s today!